Since President Barack Obama left Cuba, the Castro government has carried out a campaign to diminish the importance of the historic visit, according to Cuban human rights activists and U.S. officials. 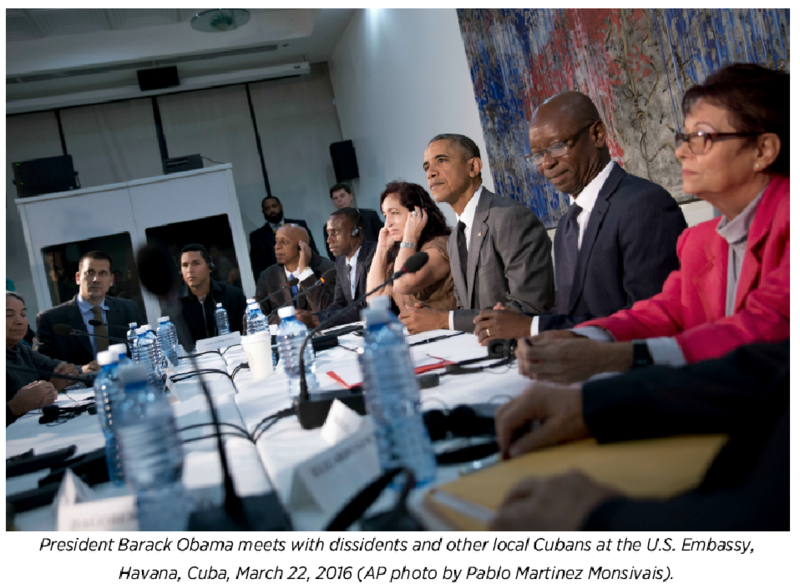 Obama’s trip to Havana in March – part of ongoing efforts to normalize relations with Cuba –made him the first sitting U.S. president to visit the island in nearly 90 years. 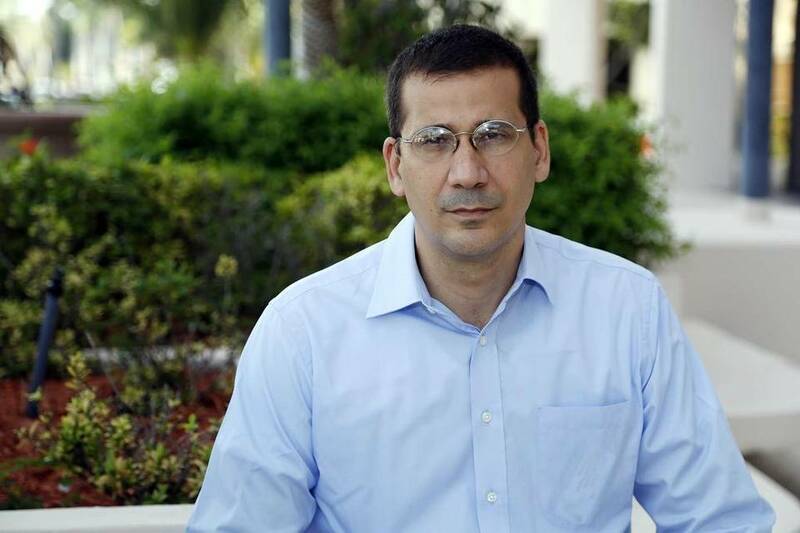 Activist Antonio Rodiles described how the Cuban government had launched a media push criticizing the U.S. government and praising communist leadership. “They were trying to encapsulate – to close or create a bubble – around the visit. And they started to talk about the communist congress party. A lot of articles attacked the president’s position,” Rodiles said Wednesday during a panel discussion in Washington. The dissident leader said, however, that Obama’s message still had gotten through to the Cuban people. Rodiles joined former Ambassador Roger Noriega, the former assistant secretary of state for Western Hemisphere affairs at the State Department, for a discussion on human rights in Cuba at the American Enterprise Institute research center in Washington. 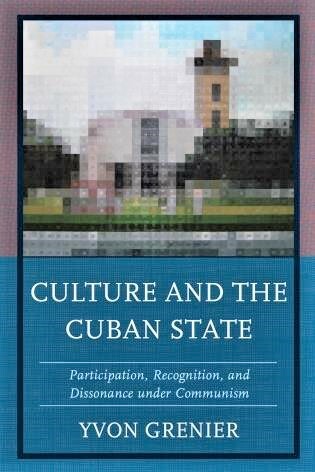 Rodiles described the situation in Cuba as a fight over the public space in that country. And he doesn’t think Obama demanded enough on human rights, allowing the Cuban government to give the “illusion” of change while it works to transition power to a younger generation of Castros. 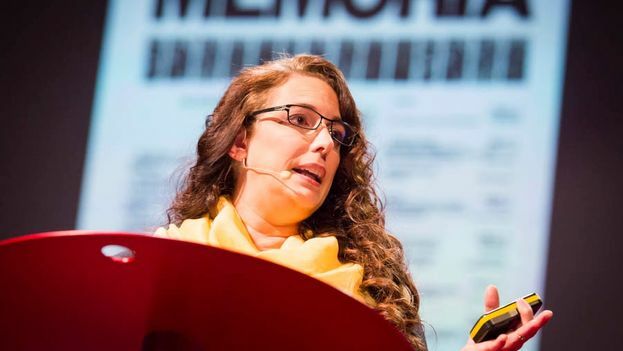 “This is something crucial for me and many people who are working on this, to show to the whole international community, to show to the Cuban people, to show to everybody that if the Castro family is there, nothing is going to change,” Rodiles said. Since embarking on cozier relations with Cuban leader Raúl Castro last year, the Obama administration has been eliminating stiff regulations on travel and commerce. It has expanded opportunities for Americans to visit the island, but the administration has been criticized for not doing enough to fight human rights. 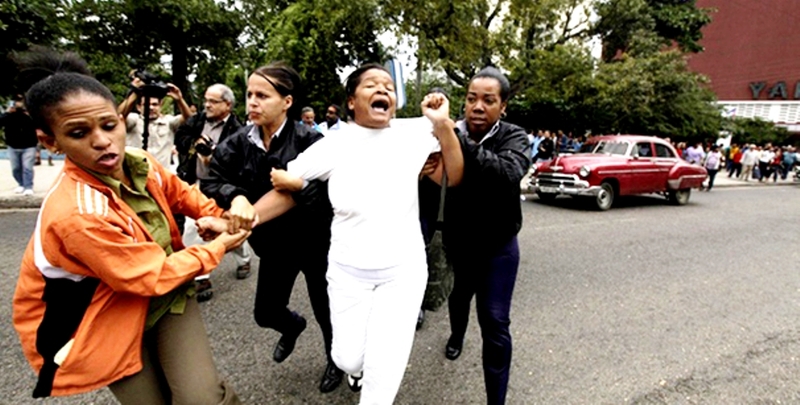 The Cuban Commission for Human Rights and National Reconciliation, a group that tracks human rights and political repression in Cuba, reported more than 8,600 politically motivated detentions in 2015, a 315 percent increase from five years ago. In the first two months of this year, there had already been more than 2,500 arrests. 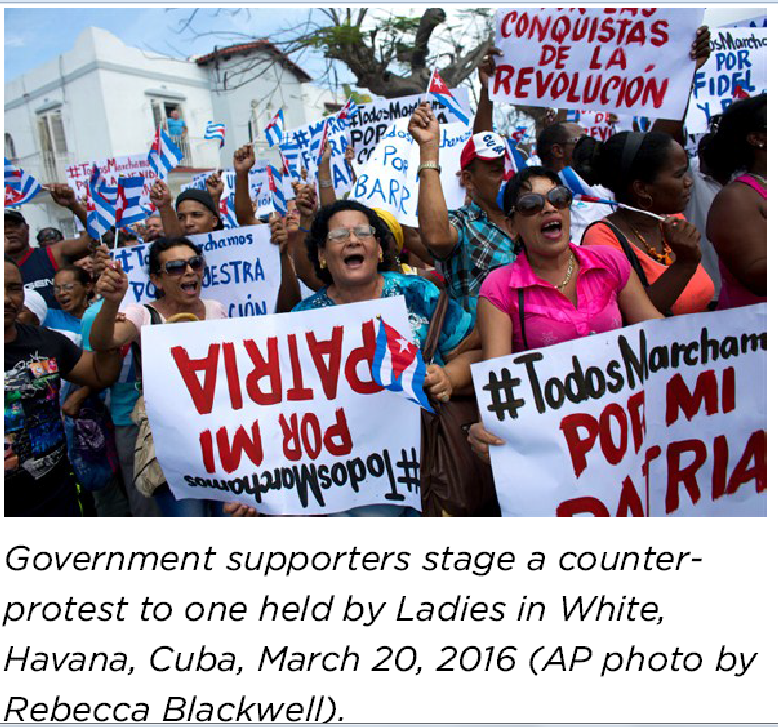 Rodiles said more people were willing to speak out about their frustrations as they saw an opening for change, but he said it had also given the Cuban government a sense of legitimacy. 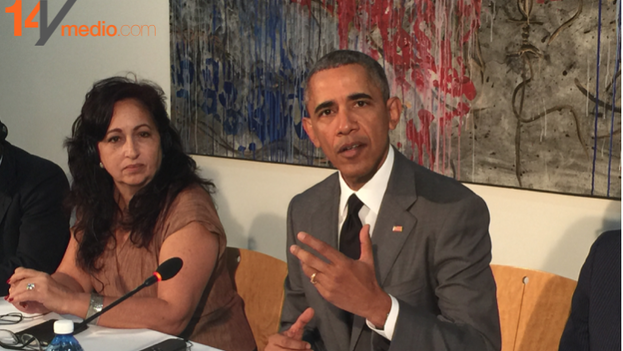 It’s important to keep the focus on Cuba while Obama remains in office, Noriega said. Obama placed a bet that this opening will bring about change. Noriega, who has raised concerns about the opening of relations, said momentum was beginning to slow as multinationals reported that there was little investment opportunity. Rodiles praised parts of the president’s visit. He thanked Obama for spending so much time with opposition leaders. The president’s speech, he said, was the first time in 60 years for many Cubans to hear someone talk about human freedoms. HAVANA (AP) — Days after President Barack Obama’s historic visit, the leaders of Cuba’s Communist Party are under highly unusual public criticism from their own ranks for imposing new levels of secrecy on the future of social and economic reforms. The article did little to calm many party members, some of whom are calling for the gathering to be postponed to allow public debate about the government’s plans to continue market-oriented reforms for Cuba’s centrally controlled economy. Across the country, Cuba’s ruling party is facing stiff challenges as it tries to govern an increasingly cynical and disenchanted population. Struggling to feed their families with state salaries around $25 a month, many ordinary Cubans see their government as infuriatingly inefficient and unresponsive to the needs of average people. The open anger among prominent party members in the middle of sweeping socio-economic reforms and normalization with the United States hints at a deeper crisis of credibility for the party that has controlled virtually every aspect of public life in Cuba for more than a half century. Many Cubans are skeptical of free-market capitalism, wary of American power and cannot envision a society without the free health care and education put in place by the 1959 revolution. Party member Francisco Rodriguez, a gay activist and journalist for a state newspaper, said Obama’s nationally televised speech in Old Havana, his news conference with 84-year-old President Raul Castro and a presidential forum with Cuban entrepreneurs represented a sort of “capitalist evangelizing” that many party members dislike. Rodriguez told The Associated Press that Obama’s well-received addresses to the Cuban people had nonetheless increased pressure on the 700,000-member Communist Party to forge a more unified and credible vision of the future. “Obama’s visit requires us, going forward, to work on debating and defending our social consensus about the revolution,” Rodriguez said. While Cuba’s non-elected leaders maintain tight control of the party and the broader system, the last party congress in 2011 was preceded by months of vigorous debate at party meetings about detailed documents laying out reforms that have shrunk the state bureaucracy and allowed a half million Cubans to start work in the private sector. In the run-up to the party congress scheduled to begin April 16, no documents have been made public, no debate has taken place and many of the party’s best-known members remain in the dark about the next phase of Cuba’s reforms. Granma said 1,000 high-ranking party members have been reviewing key documents. “My dissatisfaction is rooted in the lack of discussion of the central documents, secret to this day, as much among the organizations of the party base as the rest of the population,” Rodriguez wrote in an open letter Sunday to Raul Castro, who is also the top Communist Party leader. Under Castro’s guidance, the 2011 party congress helped loosen state control of Cubans’ economic options and some personal freedoms, moving the country toward more self-employment, greater freedom to travel and greater ability to sell personal cars and real estate. The Granma article argued that the months of debate before the approval of those reforms made a new round of public discussion unnecessary. It also acknowledged that only 21 percent of the reforms had been completed as planned. The April 16-19 party congress “will allow us to define with greater precision the path that we must follow in order for our nation, sovereign and truly independent since Jan. 1, 1959, to construct a prosperous and sustainable socialism,” the article said. Rodriguez, who works closely with Castro’s daughter Mariela, the director of the national Center for Sexual Education, said the Granma piece was unsatisfactory. He called for the Seventh Party Congress to be delayed, saying many fellow party members share his point of view. In the days after the Granma article appeared about two dozen people, many identifying themselves as party members, posted lengthy comments on the paper’s government-moderated website that criticized the article and the secrecy surrounding the upcoming party congress, which is widely seen as helping mark the transition of power from the aging men who led Cuba’s revolution to a younger generation. Ernesto Londoño, who authored six editorials on Cuba published recently by The New York Times engaged in a friendly conversation on Saturday with a part of the 14ymedio team, in the hotel where he is staying in Havana. Our intention was to interview him, but he told us the norms of his media prohibit his giving interviews without previous consultation. He also declined our proposal to take photos. Instead, he was eager to listen to our opinions in an atmosphere of mutual respect. There were two hours of conversation dedicated to refining, enriching and debating the controversial ideas that the newspaper has addresses in his editorials. The following is a brief synthesis of what was said there, arranged by topics and ascribed to the author of each opinion. Yoani Sánchez: Cubans are going to need a great deal of information to avoid falling into the hands of another authoritarianism. In 14ymedio we are including a plurality of voices, for example on the the issue of the embargo. We leave it to the reader to form his own opinion from a variety of information. Reinaldo Escobar: The official Cuban press, which is all the press, there are no public media, they are private property of the Communist Party. Now, has there been a change? Yes, there has been a change. Since a few years ago the newspaper Granma has had a weekly section with letters by readers where you find criticism of bureaucrats, things that don’t work or prices at the markets. But look, the emphasis is on the self-employed markets. So far I have not read a profound criticism of the prices at the convertible peso markets that the Government has, which are abusive. Nor can you talk about the legitimacy of our rulers or the impracticality of the system. Here are two big taboos, and in the third place, the topic of political repression. If they report on a repudiation rally, they show it as something spontaneous on the part of the people, without telling how the political police were behind it, organizing it all. Miriam Celaya: There are changes indeed. The problem is that there are real and nominal changes, and these changes are generally nominal. Now everyone in Cuba can legally stay in a hotel, which before was forbidden. They never explained why it was forbidden before. But Cubans cannot really afford the luxury of a hotel stay, with wages being what they are; nor can they buy a car, a house, or travel. 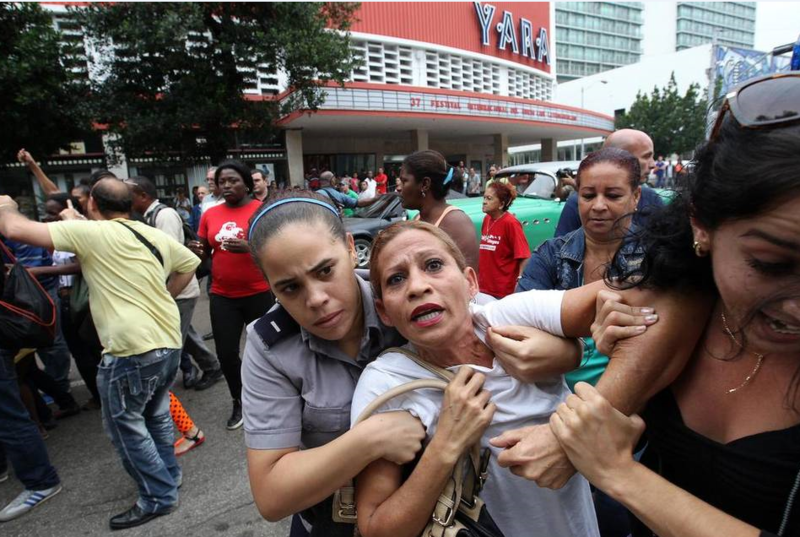 The problem with the reforms is that they are unrealistic for the vast majority of Cubans. They are a government investment in order to buy time. There are two of those reforms that are particularly harmful and discriminatory for Cubans. One is the foreign investment law, which is explicitly for foreign investors and it does not allow Cubans to invest; and the other is a new Labor Code which does not acknowledge autonomy, the right to strike, and which spells out explicitly that Cuban workers cannot freely enter into contracts with potential companies investing in Cuba, which constitutes a restraint and a brake. Víctor Ariel González: Yes, things are changing, but we ask ourselves if really those changes offer a brighter horizon and why people keep leaving, even more are going than before.